« Congrats! You’re an IACP Featured Blogger! for the New Year’s Celebration! 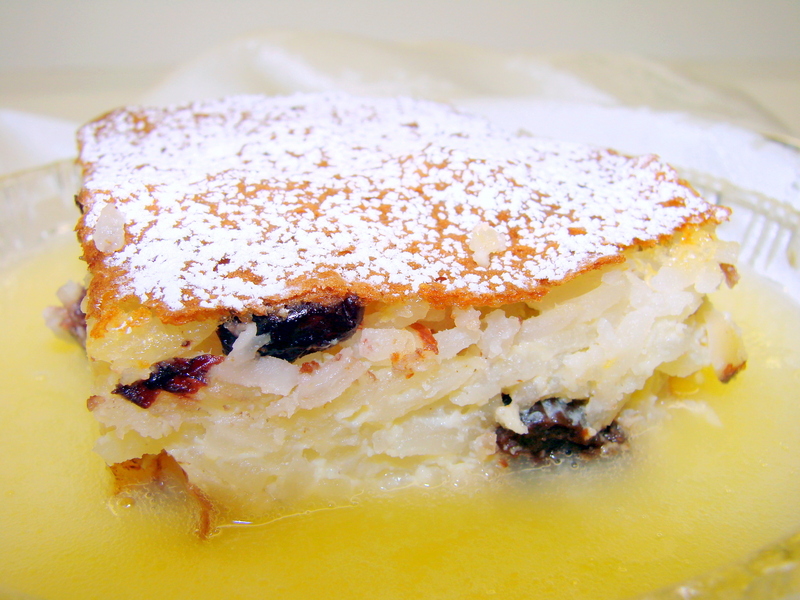 Reis-Auflauf is a Rice Cake, a Rice Suffle, or Rice Pudding…. 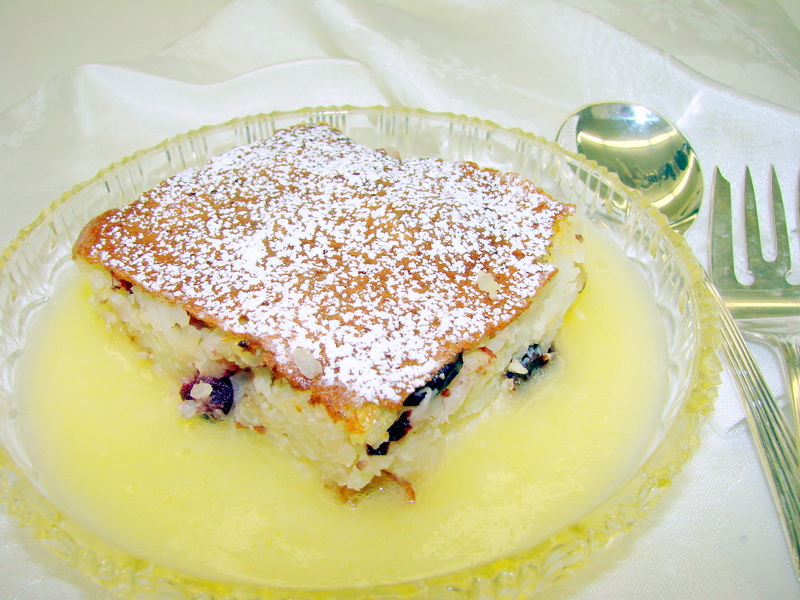 however you want to call it….it is a most delicious and satisfying dessert, and I truly love it….. especially when served warm! During my family’s time in Croatia and at all their social activities with friends this desert invariably settled stomachs after many toasts of Slivovica! 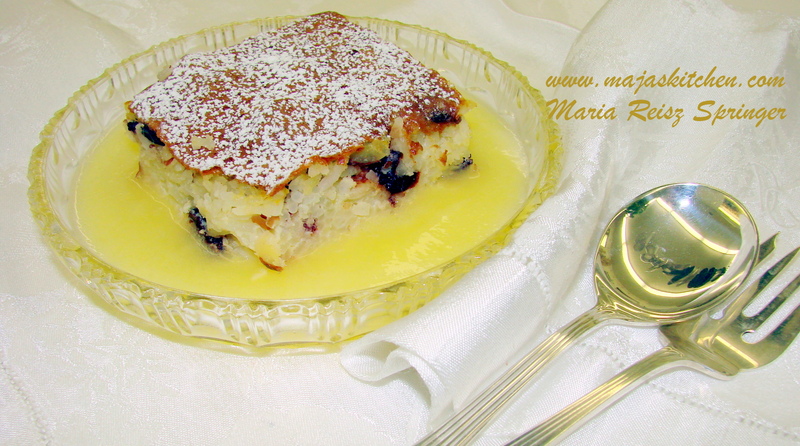 It is particularly delicious with a wonderful Weinchaudeau…a warm custard cream cooked with a light fruity white wine. Yes, more wine in the cream! Croatia and it’s people have many superstitions and rely on them daily…..There are so many “proverbs” that often come to my mind when I think of when I was a little girl and was watching the adult world around me. My grandmother had the house cleaned and swept to the utmost, “working the maids to the bone” to make sure that every speck of “dirt” was swept out of the house so that the New Year could be started from scratch. All the laundry had to be washed and ironed, clothes that were too large or too small, were given to the poor. No dishes would have been left in the kitchen; no left-overs would be kept into the New Year. New Year’s Day, January 1st…was a new beginning and filled with resolutions to make it better than the past. Having had my beginning in Croatia, and having had a grandmother who was the dominant person in the family, I still have these same feelings as the year’s end nears….. I am washing all the laundry, cleaning the refrigerator, making sure whatever left-overs we have are in the freezer. My house is clean, only the Reis Auflauf is in the making, and is baking to its golden hue with the Vanilla wafting through the air. Later I will be making the Wein Chaudeau and the air will be filled with sweet wine clouds surrounding me while I will remember my father who was the ultimate host at his table…..There was never a lack of conversation, never a moment’s lag in telling jokes or starting a song that everyone knew and chimed in……..singing was always a part of the Croatian heritage! Reis Auflauf mit Wein Chaudeau! Cook rice in 2 cups of water for 6 to 10 min….begin timing after it starts boiling. Rice will be just about half cooked. this takes about 10 – 15 min. Add Vanilla and zest of 1 lemon. 1 cup + 2 Tbsp a medium dry white wine. stirring until it becomes a custard-like cream. 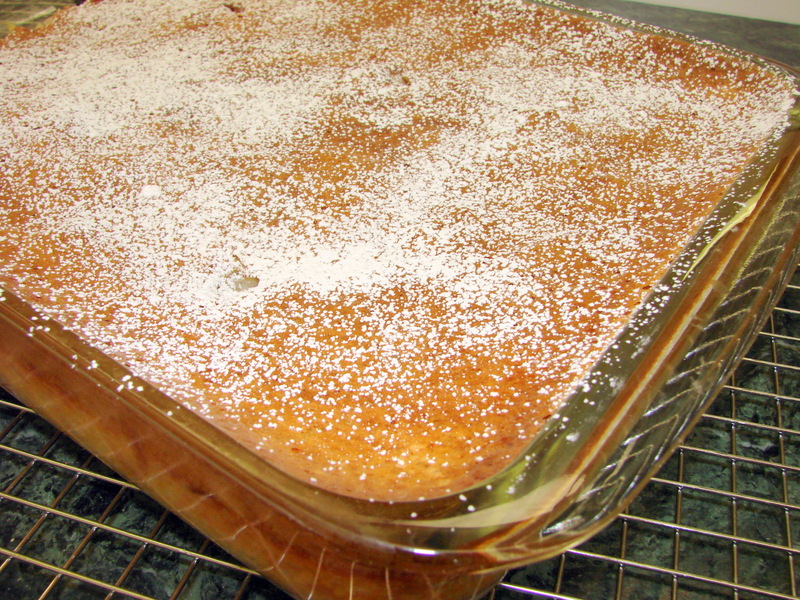 Serve this custard with a rice cake-squares, either warm or at room temperature…. 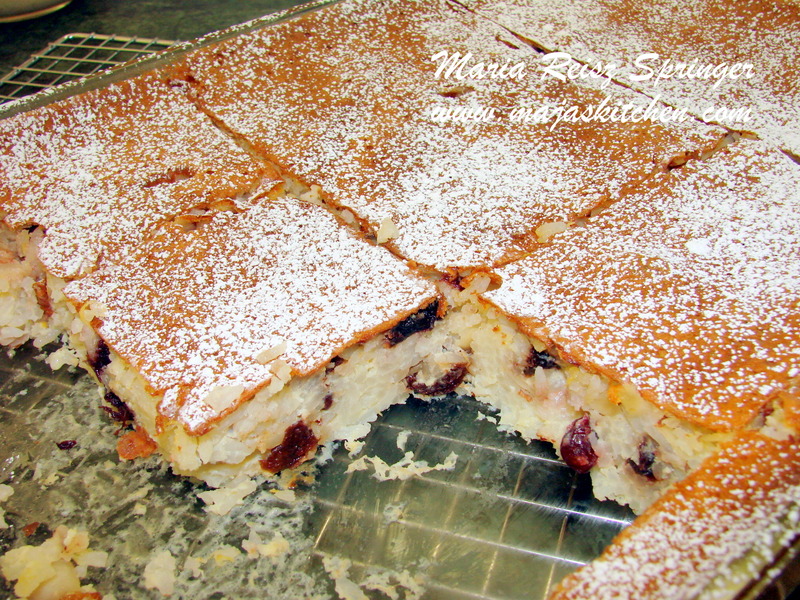 And……….this is a gluten-free dessert! and may 2014 be filled with blessings, love and joy! I’m all over this like white on rice Maria!….chuckles.. HAPPY NEW YEAR and can this be the year we get together? I can’t believe we’re virtually neighbors or at least close enough. Please lets!